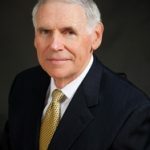 NeuralIQ, Inc. has established NeuralIQ Government Services, Inc. in Alexandria, VA with Admiral William J. Fallon, U.S. Navy (Retired) as Chief Executive Officer. The Government Services Company, providing sales and service to federal, state and local government agencies, is a subsidiary of NeuralIQ Inc., headquartered in Kirkland, Washington. The company’s research and development operations are in Santa Monica, California. Asia and the Horn of Africa, including the wars in Iraq and Afghanistan in 2007/8. His prior assignment was as Commander, U.S. Pacific Command with responsibility for political-military affairs in the Asia-Pacific regions, 2005-2007. Fallon’s other leadership assignments included U.S. Fleet Forces Command, and U.S. Atlantic Fleet and he was the 31st Vice Chief of Naval Operations. Admiral Fallon was selected by ExecutiveBiz as one of the “Top 20 People to Watch in 2009.” Click here to read more. Earlier this year, Jim O’Neill joined the board at NeuralIQ. Also, in February, Mary Beth Long was appointed senior vice president.